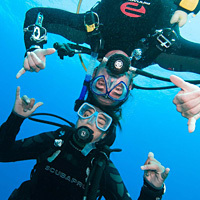 It has been over 10 years since we hired a Course Director and trained our first instructor as a PADI IDC. What started as an ancillary idea of how we could improve our Dive Center, has turned into a focus and a large part of who we are today. So much so that we’ve built Key Largo’s first pool specifically for and dedicated to dive training, which is all part our brand new in IDC campus opening in 2015. From our award winning PADI Platinum Course Directors and IDC Staff to our state of the art training environment, spend a little time with us and you’ll soon see why you’ve found the place you will want to turn to for all of your PADI Professional training needs. 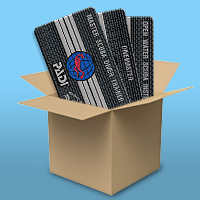 To be sure, there is more than 1 place in the world that can help you achieve the goal of becoming a PADI Dive Instructor. Below are just a few of the things we feel are important to your success and set us apart from the others. 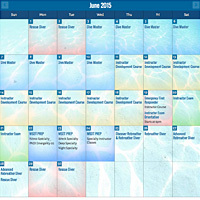 Each month we like to showcase 4 dimensions of what makes us an award winning PADI Career Development Center. We have carefully selected the following four to help you get to know us better and share more detailed information on the things that are important to us. Allow us to introduce you to some of PADI’s most award winning Course Directors, IDC Staff, and key members of the Rainbow Reef Instructor training team. Since we work with the Florida Department of Veteran Affairs, you can easily get all of your professional training covered under your veterans benefits. 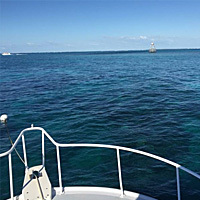 We are a premier Poseidon rebreather facility that can train you in all levels of PADI Recreational, Technical, and professional rebreather certifications. 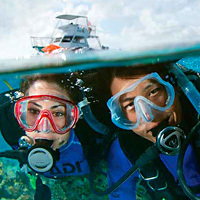 Our easy to use tool that walks you through what courses and training you’ll need to become a PADI Professional, where we will lay out your path and price it all for you.